This plugin was specifically implemented for ThemeShift‘s deCorum template users. deCorum is a template designed for real estate websites, with an elegant design and several customization options. wpCasa is a framework that allows to create templates for real state websites. 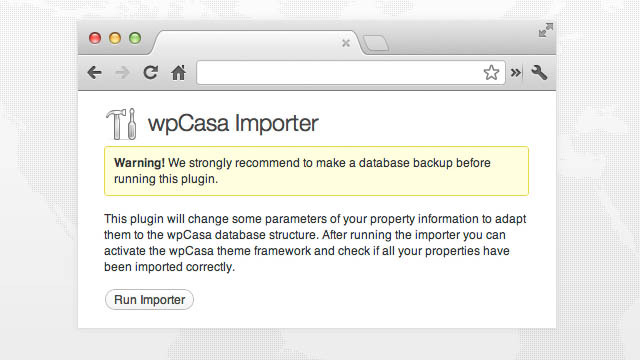 Many of deCorum users updated to wpCasa and they needed to import all their properties information. You can view a complete explanation clicking here.